Never mind the weather forecast – there’s always hope! Make sure you’re ready when the sun does show with outdoor furniture designed for dining and lounging. In association with Dawson & Co. BACKDROP (throughout) Wall in Resene Awash; floor in Resene Lone Ranger, resene.co.nz. 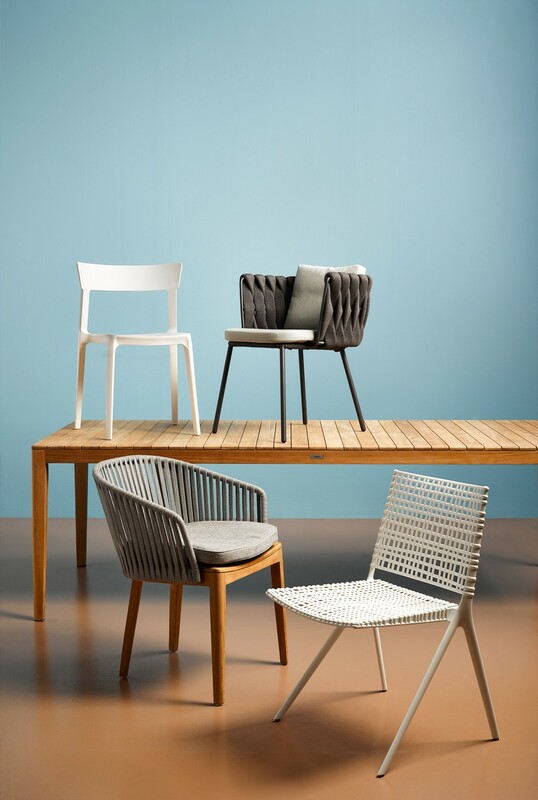 TOP, CLOCKWISE FROM TOP LEFT Skin chair by Calligaris, $259; Vintage chair by Tribù, from $829; Joi Twentyfour chair by Toou, $279; Contour chair by Tribù, from $2509; Helena dining table by Cove Outdoor, from $2459. 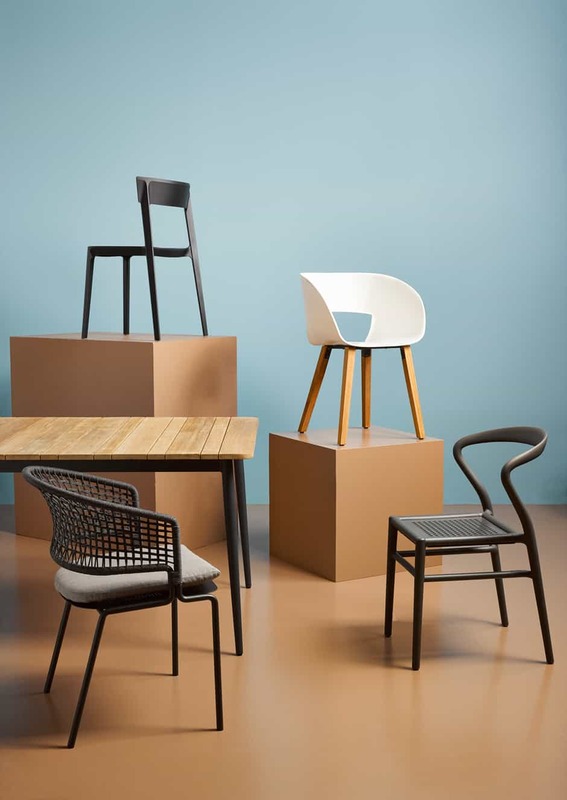 ABOVE, CLOCKWISE FROM TOP LEFT Skin chair by Calligaris, $259; Tosca chair by Tribù, from $2299; Branch chair by Tribù, from $1059; Mood chair by Tribù, from $1669; Mood dining table by Tribù, from $5699, dawsonandco.nz. 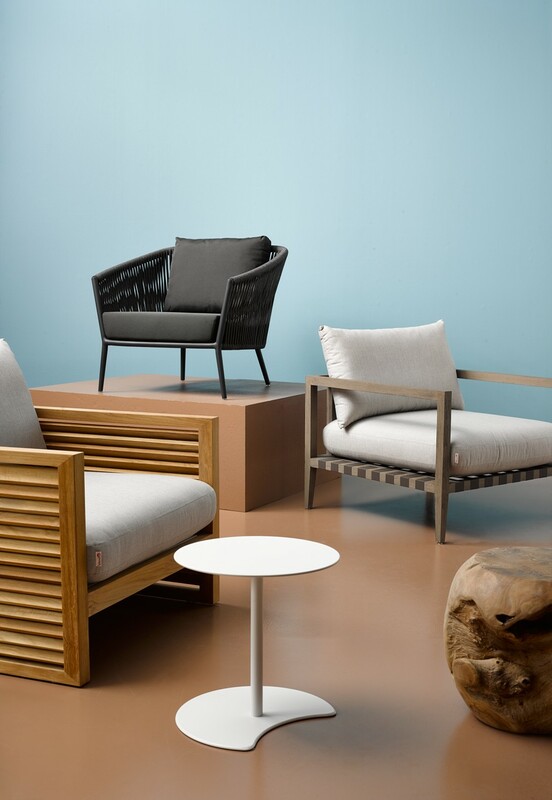 TOP, FROM FRONT LEFT Ile side table by Tribù, from $1379; Louvre coffee table by Harbour Outdoor, $1549; Kora 1 Seater chair by Cove Outdoor, $1609; Logan chair by Cove Outdoor, $499; Breeze XL chair by Harbour Outdoor, $2469, dawsonandco.nz. 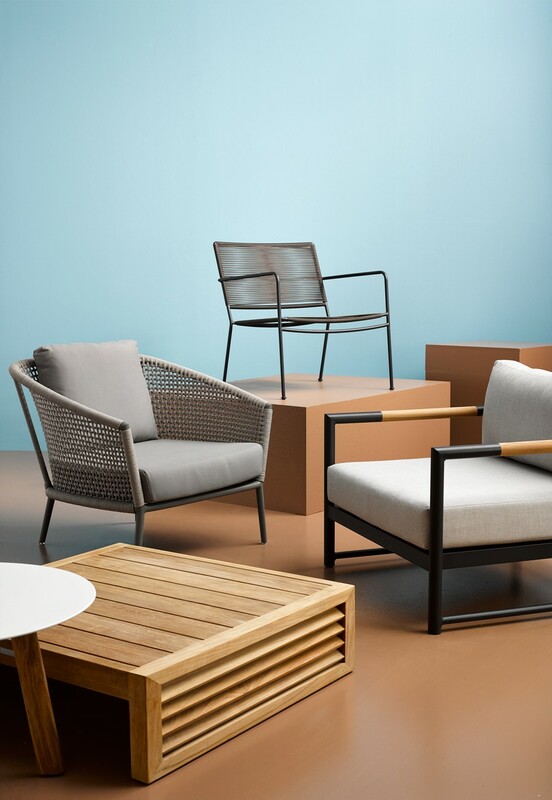 ABOVE, CLOCKWISE FROM LEFT Louvre armchair by Harbour Outdoor, $3869; Helena 1 Seater chair by Cove Outdoor, $1289; Pierchair by Harbour Outdoor, $2639; Bola stool by &Co Studio, $359; Drops coffee table by Tribù, $829, dawsonandco.nz. 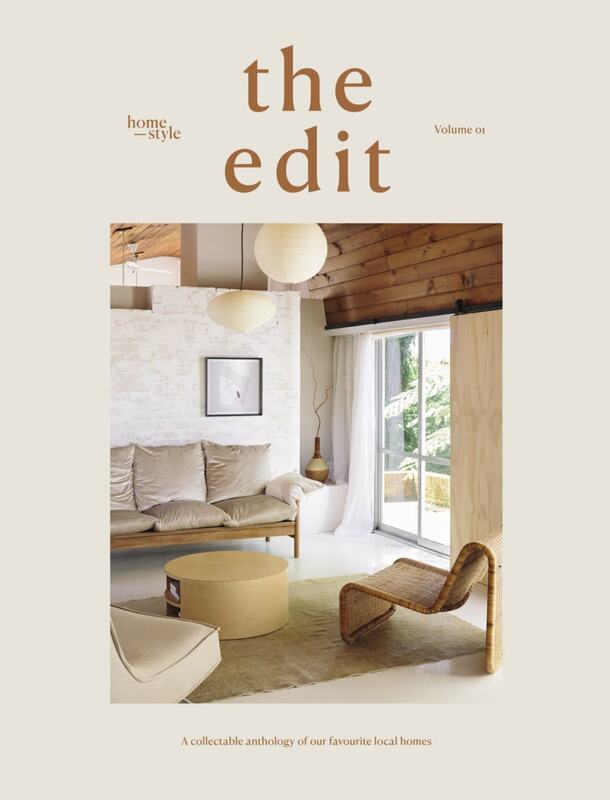 For over 38 years the Dawson family and their wonderful staff have been filling homes with designer furniture sourced from New Zealand and abroad. They travel extensively, collaborating with our manufacturing partners to ensure they bring the best value product they can find. Their philosophy is simple – to showcase great quality, honest furniture from brilliant craftspeople in a welcoming environment. 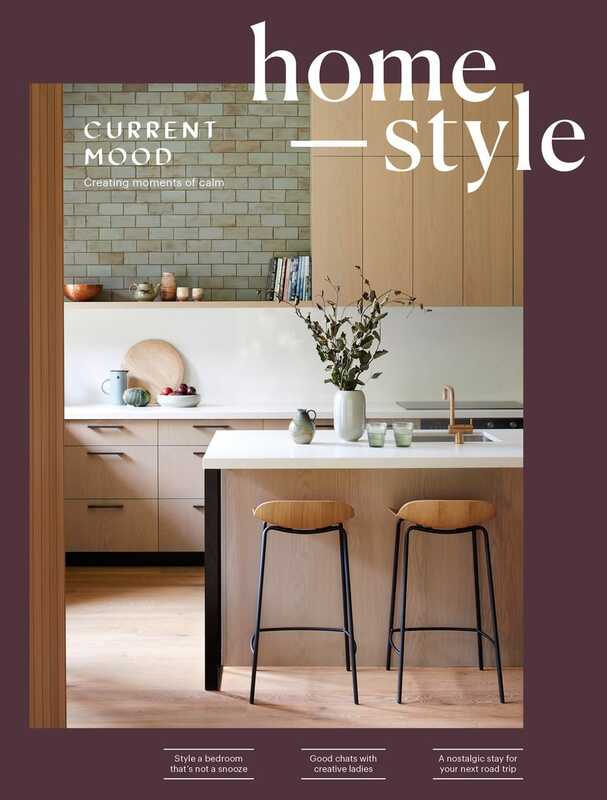 Dawson & Co are extremely lucky to have fostered strong relationships with renowned international furniture brands and designers including Timothy Oulton, Manutti, Calligaris and Tribu. Buying directly from international suppliers enables them to remove the added layers of costs and complexity so they can pass the savings on to the consumer.